One of the most visited capital cities in the world. Much of its period architecture dates from the late 17th century, including Britain's only domed cathedral, St Paul's. London has a vast array of museums, most of which are free to enter. It also has a multitude of royal residences and stately palaces, famous art galleries, theatres, street markets and world class shops. There are plenty of parks, gardens and open spaces too, from its many royal parks to the 100 acres of the London Wetland Centre. The Greater London area (previously Middlesex) is an undulating plain, falling gently from a range of low hills in the north, down to the Thames. Here and there, isolated hills rise from this plain, such as at Harrow, Highgate and Hampstead. Samuel johnson (1777), "Letter to Boswell"
Most national train companies operate services to London. Jellied eels - traditional 18th century English dish from London's East End. Pie and mash - minced beef pie and mashed potato, served with eel parsley liquor. Boiled Beef - boiled beef and carrots, served with pease pudding. In 1965, after a Royal Commission, most of the original area of Middlesex was incorporated into Greater London, with some minor areas transferred to Hertfordshire and Surrey. First recorded in 704 as Middleseaxan. 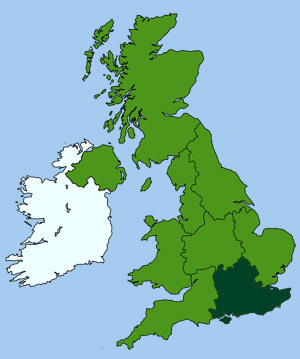 Originating from the Old English for the territory of the Middle Saxons (between Essex, Wessex and Sussex).